Earn up to 2,654 Points. SAVE 10%: Buy multiples of (6) 2QT or 1 GAL OR (12) 1QT or 16OZ. Restore Your Original Performance Power! Recommended for ALL diesel engines. NOT for use in gasoline vehicles. Dirt and water in your fuel system steal the power from your diesel. Your engine needs an extreme cleaning. 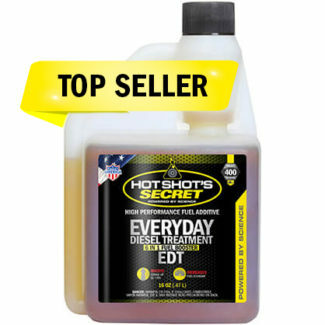 Hot Shot’s Secret Diesel Extreme is a new and powerful formula designed to rejuvenate your diesel’s fuel system’s performance. Add a dose of Diesel Extreme at your next fill up and your engine’s fuel system will be cleaned, restored and boosted to its original performance power. Diesel Extreme will clean everything in your tank, lines and injector tips and remove moisture. When used in conjunction with Hot Shot’s Secret Stiction Eliminator you will be giving your truck a complete cleaning on the inside. Stiction Eliminator is cleaning the oil side of the engine while Diesel Extreme cleans the fuel side. 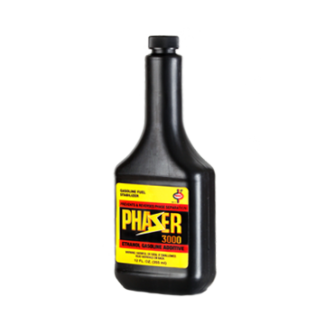 This product contains anti-oxidants and is not formulated for use in gasoline engines. I now have 4,800 miles on my Hot Shot’s Secret and ran the entire bottle of the fuel detergent. Vehicle is running about 50% better. It still misses a little and these are brand new injectors with like 20k miles on them tops. Valves are good they were checked when head job was done, fuel filters changed, new oil cooler, EGR delete, head studs, bypass filter, I’ve done everything to make this truck run right. I think one more run of it in some Rotella t6 would have it running proper. My friend told me about this and I used it on my International flatbed which I use to haul cars up and down the east coast. I thought I needed a new truck but he assured me that this could save it and sure enough, I poured it in and 20 minutes later my truck was running better then new. This product is amazing. Hey, I’m Tom from the Atlanta, Georgia area. I got a 96 Ford F250 with a 7.3 power stoke diesel. I tried your product for the first time on this past oil change. It made one hell of a difference. The mileage went up. I also tried the Diesel Extreme and I was very impressed with both products. I also have an ’06 F350 with the 6.0, I’m a fixing to try it in that truck also. 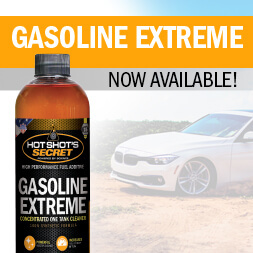 I was very impressed with the products and in fact I just ordered a case of the Diesel Extreme and I’m fixing to place an order for the Hot Shot’s Secret [Stiction Eliminator]. Thank you very much. Hi Kahle, simply one 2 QT bottle per tank, thanks! I have a LB7 with injector stuck open. Balance rate showed 5. Is there any hope in using this? Has white smoke at an idle. 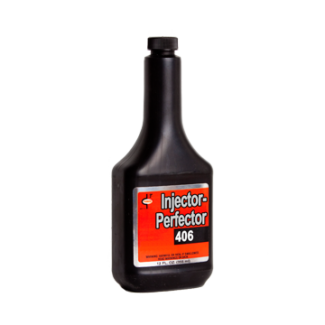 Absolutely, this is the product to use if injector has not failed completely. If it doesn’t help, we’ll give you your money back! 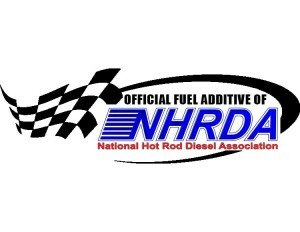 Fuel detergents commonly have five elements: rust and corrosion inhibitor, cetane booster, fuel stabilizer, metal de-activator, and detergent and dispersant. Most fuel detergent products on the retail shelf are a “boost now, die later” product. They contain minimal cleaners and maximum boosters so that the driver experiences only a short-term boost. Trying to “boost” a dirty fuel system is ineffective. 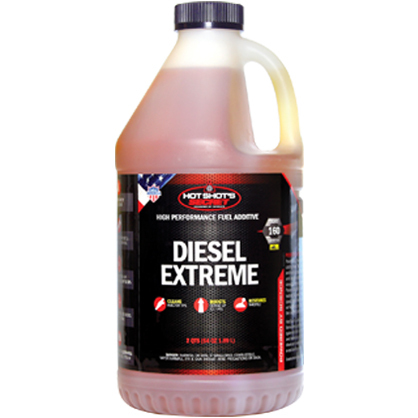 Hot Shot’s Secret Diesel Extreme is designed to support a “clean then boost” strategy. Diesel Extreme is unsurpassed in its cleaning power and will cleanse your whole system including cylinders and lines. It will restore your fuel system components to their original cleanliness and prepare them for maximum response when Diesel Extreme’s cetane booster kicks in. Diesel Extreme is a concentrated cetane improver which also contains a highly effective fuel stability package. It will tremendously upgrade power and performance in all diesel equipment, increase mileage and provide maintenance economy. Storage stability of fuels will be greatly increased and diesel engines will be kept in a much cleaner and maintenance-free condition. 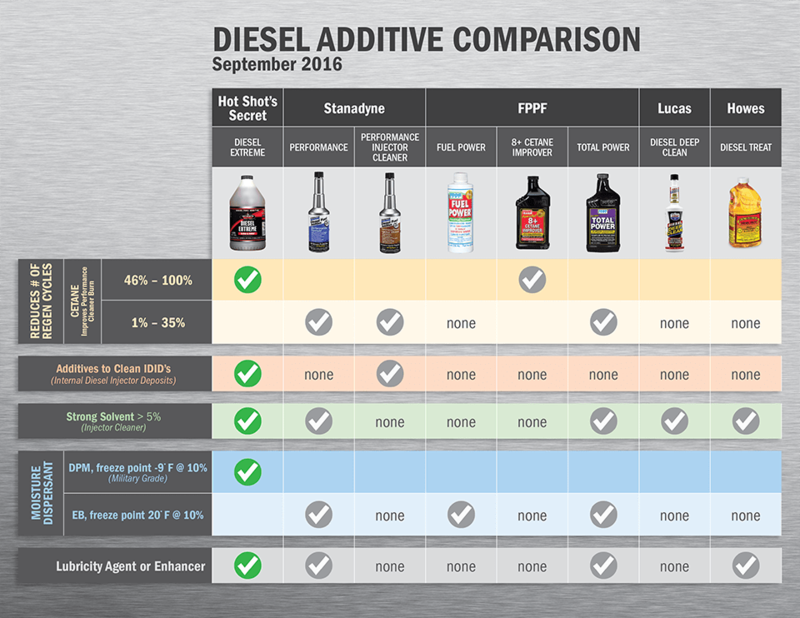 In addition, Diesel Extreme has a stabilizing system to improve storage stability that will prevent polymerization and breakdown of hydrocarbons which results in gum and sludge formation. The dispersant prevents insoluble residues from forming, which are sometimes produced when mixing fuels from different sources. Corrosion is prevented by an inhibitor which produces a protective non-deposit-forming film on metal surfaces in the fuel. 2 quarts treat 160 gallons of diesel fuel. 1 quart treats 80 gallons of diesel fuel. 16 oz. bottle treats 40 gallons of diesel fuel. Use one treatment of Diesel Extreme every 6 months. Diesel Extreme is extremely effective in middle distillate fuels to improve combustion and ignition efficiency, enhance fuel economy and maintain fuel in a clean, stabilized condition. 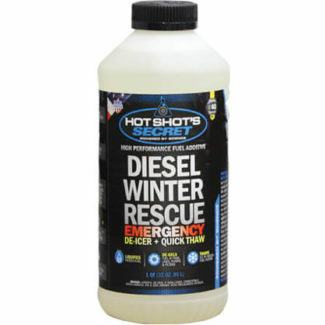 Hot Shot’s Secret Diesel Extreme is safe in all diesel engines: semi-trucks, pick-up trucks, farm equipment and autos. Including but not limited to: Ford Powerstroke, Dodge Cummins, GM Duramax, Saab, Volkswagen, and Audi. Diesel Extreme will improve cetane in the fuel giving it a smoother, less erratic pressure buildup in the combustion chamber during the ignition delay period, which occurs between injection and ignition. Controlling this pressure buildup eliminates the potential damage to piston rings and rod bearings. Power and fuel economy is increased as fuel burns more evenly and cleanly. Misfiring is controlled. When ignition improves, emissions are reduced and noise levels are lowered. Control of the pressure buildup allows more complete burning of the refractive molecules in the fuel, which steal power and produce deposits and wear. 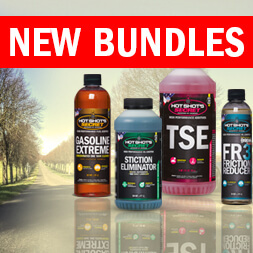 Cetane improvement gives quicker starts and faster warm-up at cold temperatures. 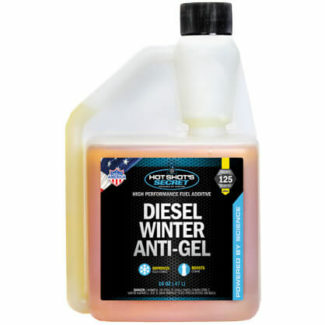 Diesel Extreme will lower the minimum starting temperature of a diesel engine approximately 5°F. Controlling Misfires, Stabilizing the Fuel System, and Improved Engine Performance. The point at which misfiring occurs in a diesel engine is influenced by the temperature of the intake air. 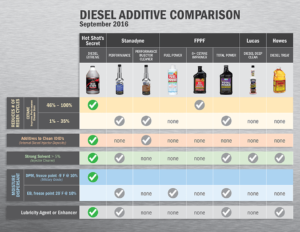 Diesel Extreme will lower the temperature at which misfiring occurs by as much as 30°F. The fuel stabilizing system in Diesel Extreme eliminates problems caused by sludge, corrosion, rust or scale in degraded fuels. Sticking fuel injectors and plugged lines and filters are prevented, saving costly fuel and reducing maintenance. 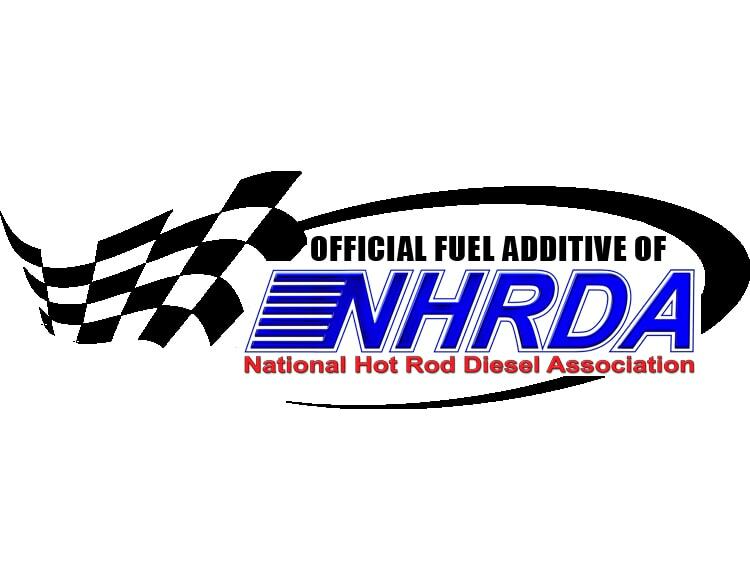 Engine performance is improved and wear is reduced when operating with clean, stabilized, sludge-free fuel. Diesel Extreme will not only prevent potential acid and sludge-forming reactions, which cause both corrosive and abrasive wear, but will disperse existing sludge and deposits.